- What do Red Ironbarks have in common with Imperial Jezebel butterflies and Regent Honeyeaters? The important links between the trees of the box-ironbark woodlands of Victoria and the endangered Regent Honeyeater became clear as the fascinated group of adults and children listened to the stories and the science during the Ballarat Region Treegrowers excursion to the Regent Honeyeater Project based in Benalla, Victoria. This important project, inspired by the passion, energy and stamina of one man and supported by local schools, Landcare Groups and the broader community, set out in 1995 to restore the dwindling habitat of the endangered and little known bird, the Regent Honeyeater. ​The man at the heart of the project, Ray Thomas told his stories as the excursion travelled around the box-ironbark country that is part of the important habitat and feeding cycle of this migratory bird, that up until recently hadn’t been seen for years in the district. The Regent Honey eater once seen flying overhead in flocks of hundreds as they followed the nectar flow on their annual migratory journey from a southern Queensland through NSW and Victoria and then to South Australia where it is now extinct. Sadly the overall population numbers have now dwindled to less than 1,000 birds. However the great news is that sightings of the Honeyeater are now becoming more frequent in the Lurg Hills near Benalla in the box-ironbark forest and woodlands during flowering season. 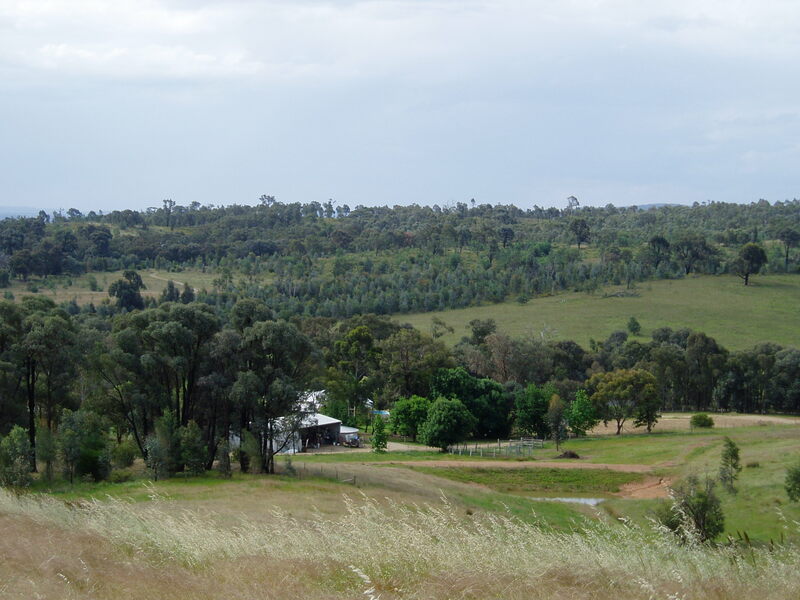 Because the Regent Honeyeater is a shy bird and easily driven off by more aggressive honeyeaters like Noisy Miners, the revegetation work needed to provide high quality habitat with certain critical features. The key to the success of the project is the size of the individual plantings and the importance given to linking these individual plantings to roadside remnants and isolated remnant patches on private land. In essence the plantings need to be a lot wider than normal (a minimum of 20 meters and up to 100 meters wide) plus the adjoining roadside reserve and include a greater diversity of plants (30 species) with plenty of shrubs and understorey to provide important closed bushy shelter for its vulnerable residents. The project only funds plantings that satisfy these fundamental criteria. The Regent Honeyeater is called the ‘flagship species’ and is the public face of the project as it gives the community a focus and a way to understand the environmental benefits of becoming involved. But lots of other bird, mammal and insect species are benefitting from the restoration works. For example another local bird that is in trouble in Victoria is the Grey-crowned Babbler. It’s a medium sized bird and a real ‘home-body’. It won’t fly more than 300m to get to a neighbouring patch of trees, so it’s easy to understand how groups of Babblers can become isolated. 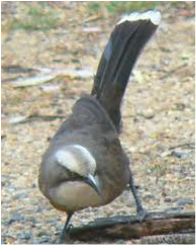 These birds are now commonly seen around the revegetation sites and continuing efforts are being made to create more roadside links between patches of remnant vegetation to allow isolated populations to move about more freely and mix with other remnant populations of Babblers. This strategy ensures the genetic diversity and therefore the long term viability of the species. The numbers of Brush-tailed Phascogales, Sugar Gliders and Squirrel Gliders are also now recovering because of the improved habitat that is being created. The environmental services provided to surrounding farms by these nocturnal mammals are numerous. For example one Squirrel Glider eats its own weight in Christmas Beetles every night. These beetles cause serious defoliation of eucalypts in spring and as scarabs they damage pasture grasses by feeding on their roots. 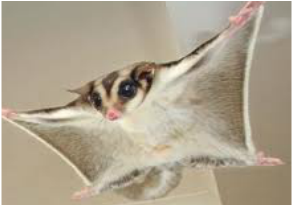 A colony of Sugar gliders consumes around 200kg of insects each year. Mistletoe is a serious problem in isolated box and ironbark trees because as a parasite it completely dominates and eventually kills its ancient host trees. Yet mistletoe in a woodland or dry forest is an important food resource for insects, birds and mammals. So how are the natural checks and balances brought back into depleted ecosystems so that the mistletoe can grow in harmony with its host trees? (4) Plant a nectar source for the Wood White and Imperial Jezebel butterflies. These are often members of the Daisy Family such as Sticky Everlasting, Xerochrysum viscosum and the Grey Everlasting, Ozothamnus obcordatus. Mistletoe is spread by the Mistletoebird, Dicaeum hirundinaceum that eats the sweet Lycee flavoured berry and wipes off the sticky seed on the limb of a host tree that is usually a eucalypt or a casuarina. The seed soon taps into the sap stream of the host tree, growing into a healthy Mistletoe plant. Sometimes as many as twenty mistletoe plants will grow on one mature eucalypt, severely draining its resources, particularly in dry years. Enter the Wood White and Imperial Jezebel butterflies, which after a feed of nectar from the native daisies, fly over to the nearest mistletoe leaf and lay their eggs. The eggs hatch and consume the tasty high protein mistletoe leaves, often defoliating the mistletoe and sometimes killing it in the process. Other checks and balances on mistletoe are the woodland birds that eat the mistletoe berries and drop the seeds onto the ground where they have no host to grow on and Ringtail possums that prefer to eat the mistletoe leaf than the leaf of the eucalypt host tree. 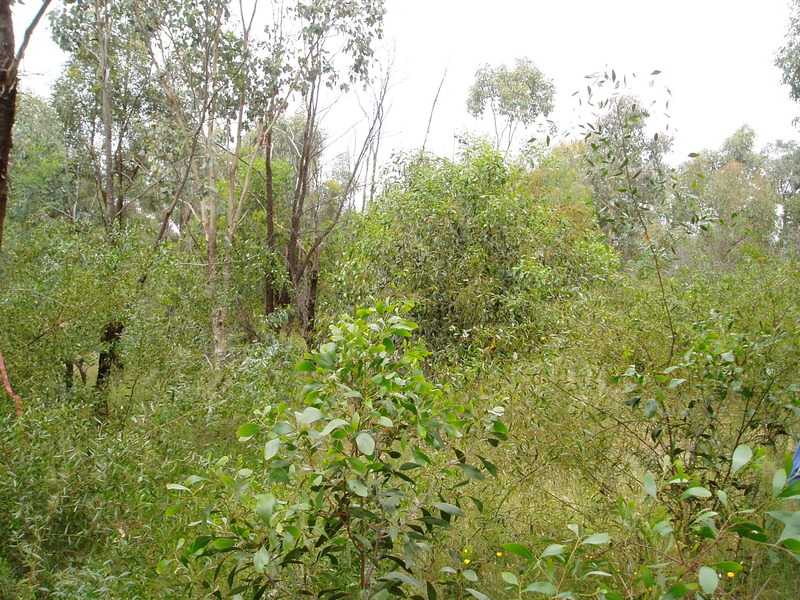 ​Another important key to the success of the project was seen at a box-ironbark remnant where regrowth had resulted in a dense forest with no understorey or shrub species. Significant thinning was undertaken to open up the canopy and let more light in. The leafy tops were removed to minimise the fire risk and a percentage of the felled logs were left to provide habitat at ground level. The remainder of the timber was taken away to be used as firewood. 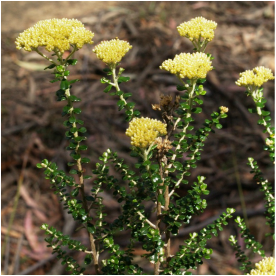 The Regent Honeyeater project now boasts conservation plantings of 490,000 seedlings on nearly 500 sites with a commitment from 115 landholders since the project started with the majority of landholders now being involved. It has restored 1,360 ha of critical habitat which supports 150 species of bird, 11 of which are declared threatened in Australia. This remarkable work couldn’t be achieved without the dedication of key people, partnerships with organisations and some significant funding (now $200,000 annually) from charitable trusts, corporations and governments at all levels. Ray highlighted the efforts of the 23 local schools that help collect seeds, transplant the native seedlings and help construct nesting boxes as well as the hundreds of volunteers from universities, walking clubs, church groups, bird observers, scouts and environment groups that have continued to support the project often doing the hard labour on planting days. The excursion ended at Lurg Hall for an evening BBQ and a tuneful note of classical music from Ray Thomas’ recorder. Our thanks also go to Rob Richardson a local farmer and coordinator of the Regent Honeyeater Project who ably supported Ray with his enthusiastic comments and personal stories of the significant positive changes he had witnessed in local communities brought about through the Regent Honeyeater Project.